Picture taken by me, April 2014. I recently came back from a trip to London and Paris. I loved both cities but Paris I adore even more. Right by the Notre Dame is a bookstore/library called Shakespeare and Company. It’s a famous place for people interested in anything related to literature and though I expected less, I was not disappointed. As you can see the shop with a small library on the second floor has this wonderful old school atmosphere. With stone walls, low timber ceiling, dusty chandeliers, and books packed in every corner the cramped quarters allow the perfect retreat for book lovers. On the 2nd floor there is also a desk with a typewriter…writers would come to have a quiet place to be inspired, with views of the river near the cathedral. There is also a resident cat! That sealed the deal for me. Lately, I had thought about a library/literature/book project that I could get involved in to help promote reading and literacy in Pakistan. Currently, I volunteer at Educate Haiti Now! A nonprofit dedicated to increasing access to quality education for Haitian children. Since I am also interested in writing it seemed like a logical step to do something to promote literacy/reading/writing in Pakistan. Shakespeare and Company, all the way in Paris, may have given me just the inspiration I needed. Yeah, Shakespeare & Co. looks like paradise! Good luck with your Pakistan project. Thanks for visiting my blog! Shakespeare and Co. was such a cool place to visit! I have yet to begin working on anything in Pakistan but I couldn’t help but feel inspired by Shakespeare and Co. Maybe someday I could build a S&C there! 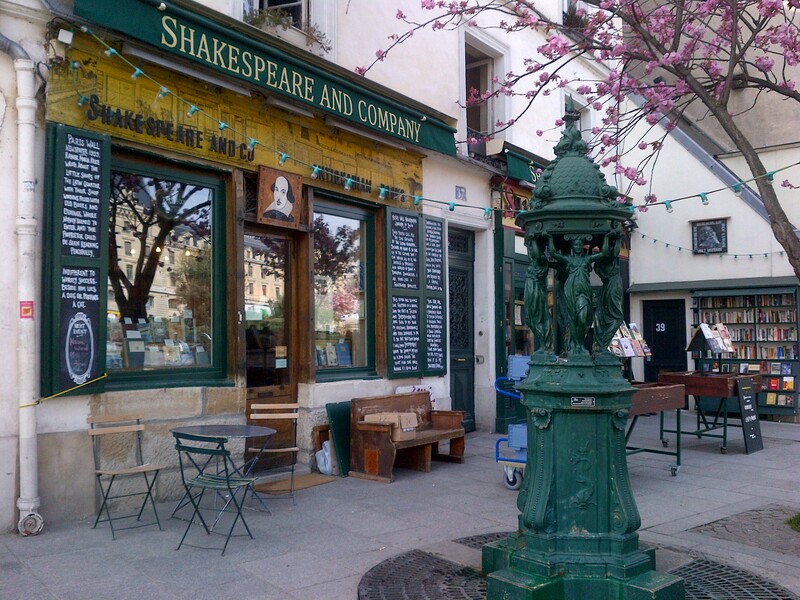 Shakespeare and Co…. a nice place to discover in Paris. Thank you for visiting my blog! 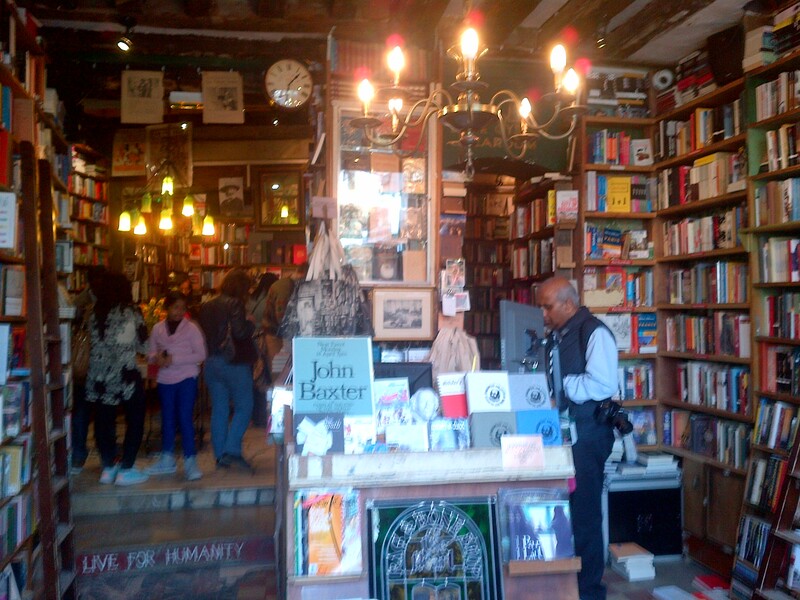 Shakespeare and Co is definitely worth a visit in Paris!